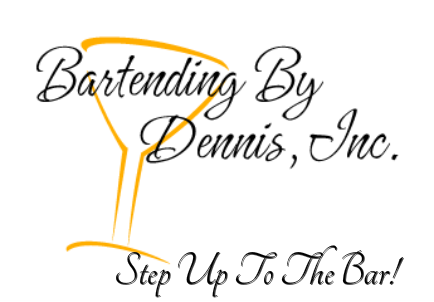 Bartending By Dennis Inc., has been providing services to discerning clientele for more than 20 years. We built our reputation through polite, professional service that aims to make your occasion a memorable one. Whether it is a wedding reception or rehearsal dinner, a cocktail or dinner party, a Bar or Bat Mitzvah, an anniversary, a birthday party, a corporate fundraiser, or a collation we are prepared to fulfill your needs. Our services are designed to be client friendly by providing what you and your guests will need from complete bar set-ups stocked with the alcohol, mixers, condiments and party amenities or by just providing bartenders to mix and serve your beverages of choice. Let us pamper you and your guests. You will find our packages are created with your convenience and budget in mind.